Known as Jamaican Calabash, Jamaican pumpkin, Calabaza, Caribbean Pumpkin, or Cuban Squash. Calabaza is a squash variety, grown Widely in Jamaica throughout Caribbean as well in the Central - and South America . It is a creeping, annual tropical vine with large lobed leaves and branching tendrils; the flesh of the fruit is bright orange. The flowers are yellow and pollination is done by bees. The leaves are mottled and grayish green in color. It can be as large as a watermelon or as small as a cantaloupe. 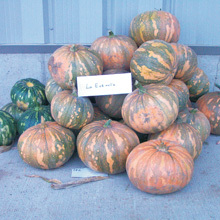 The color of calabaza can also vary and may include greens, tans, reds and oranges. 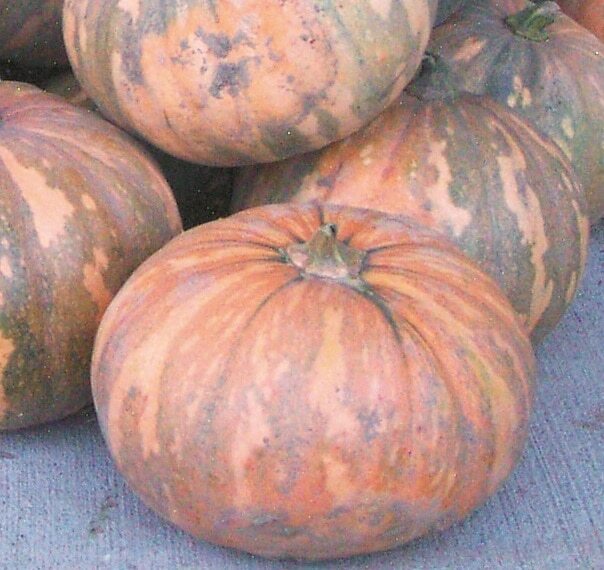 Some squash are all one color while other calabaza are multi-colored and may include all of colors listed above. The fruits vary in size, shape, and color owing to outcrossing and strain selection. Fruit weighs about 5-12 pounds, and is round and flattened a bit on the top and bottom. Its colors are mottled green or yellow and buff-cream. 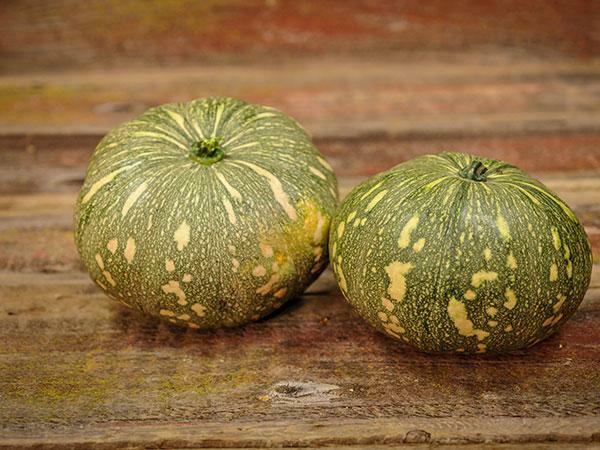 The taste is sweet and Calabaza is used in many west Indianian Latin and Chinese dishes. 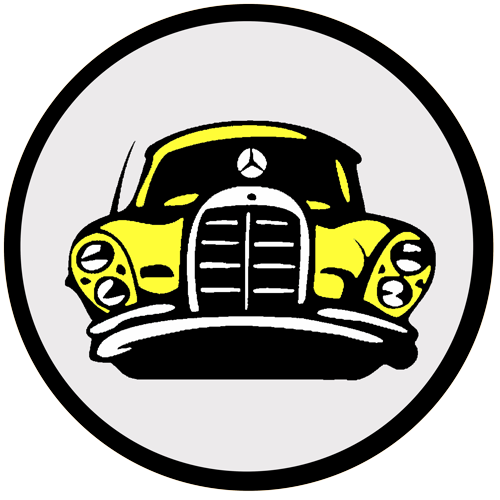 Its firm yellowish-orange flesh is mild and sweet. Heisler likes to saute it with scallops in a white wine sauce and serve over buttered noodles. 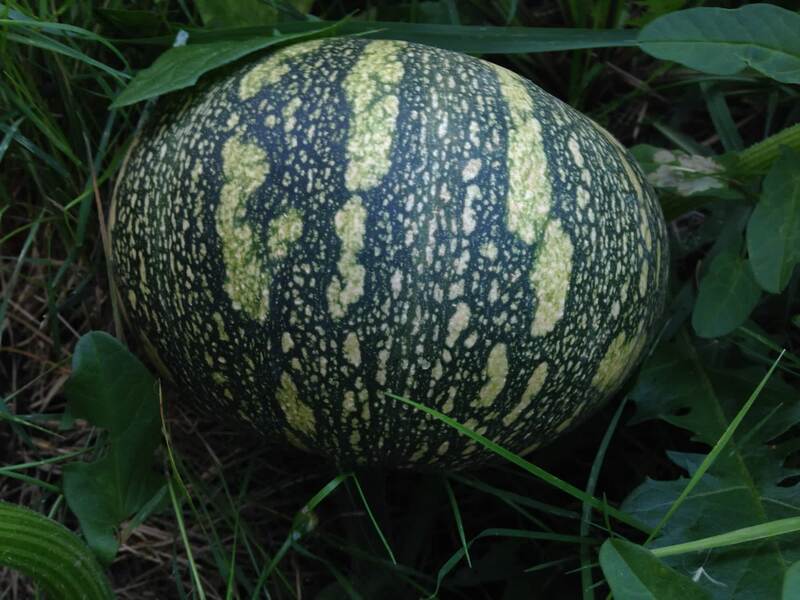 Patrick Simcox, while on an expedition to Panama, discovered this distinct landrace of moschata squash. The fruits are small, round and flattened, and covered with large bumps. Undoubtedly, this landrace is resilient to pests and should thrive in hot humid areas with at least 4-5 months of growing season. Because this is a landrace, we expect there to be variability with the fruits, but in all cases save the seeds as this is rare material.